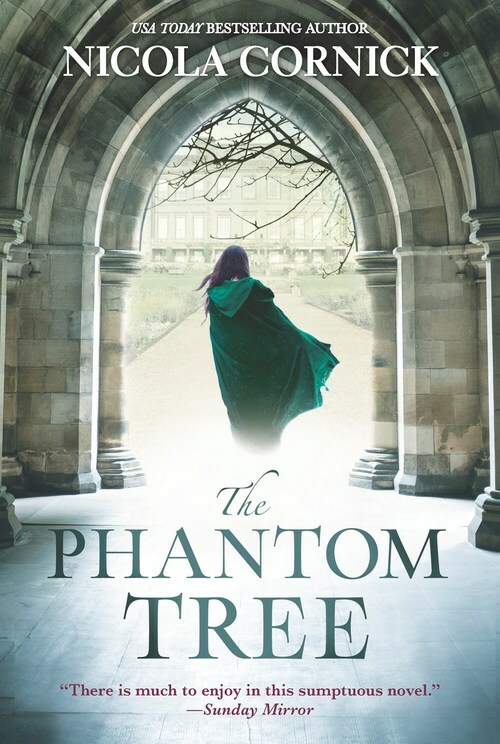 "Interwoven secrets spin out over four centuries of loss and love"
In THE PHANTOM TREE, Nicola Cornick crafts a lovely yet chilling story about Mary Seymour, daughter of England's Queen Katherine Parr and traitor Thomas Seymour. Katherine Parr was the sixth and final wife of the corpulent and dissipated Henry VIII. Six months after Henry's death, she married Thomas Seymour, then she shortly died thereafter. Thomas was the brother of Jane Seymour, the third wife of Henry (keeping it all in the family, ya know). I love the rich history that peoples this book; the Tudor period is my favorite English era as a self-proclaimed Anglophile. The cool thing is that it's not a time slip novel, but it feels sort of like it is. Alison Bannister is a young woman who was fostered with Mary Seymour at Seymour estates. Alison is shown as a time traveler who comes forward from Tudor times to live in the twenty first century. She accidentally traveled to current time when trying to flee her circumstances in Wiltshire. Alison is rather feckless (as is Mary), yet I find myself rooting for each of them even as they lie and scheme repeatedly, getting themselves and others further and further into hot water. Even though I don't find Alison to be a sympathetic character, I'm still utterly sucked into her life and escapades. Alison stumbles across a portrait of Mary Seymour, and must decipher the clues hidden in the painting to tell her what happened to the son who was wrenched from her at birth. Mary promised Alison that she would track her son down and let Alison know what happened to him, and now Alison must try to follow those enigmatic clues four centuries later. Assisting her is an ex- boyfriend, whom she must resist, despite her attraction, if she is to find her son. THE PHANTOM TREE is seriously Gothic, y'all. There were many times when I was almost reluctant to turn the page because I was anxious about what would happen yet, even though I was desperate to keep going in the story. The looming sense of gloom and danger is skillfully drawn. We've got alternating point of views between Alison in the present day and Mary in the 16th century, which is another device to keep the reader waiting on tenterhooks. There are many twists and turns as the story spins out. The interweaving of secrets keeps this a page turner. Cornick's THE PHANTOM TREE is a compelling mix of history, romance, Gothic suspense, and a little fantasy.